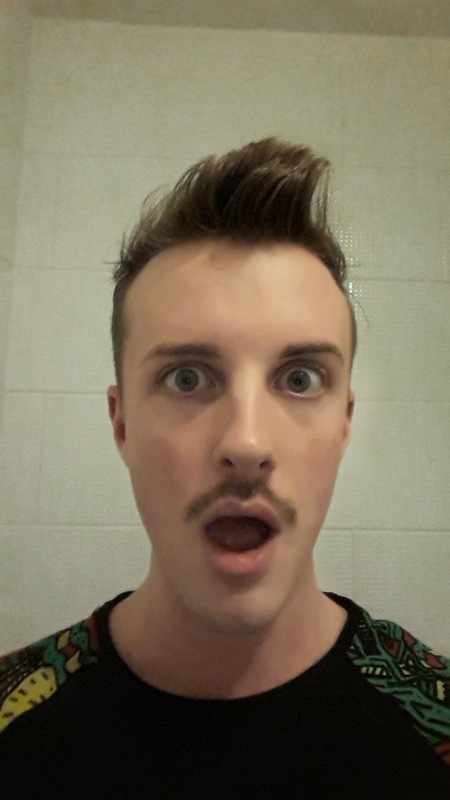 So, my mo is on it's way - but I'm getting sick of waiting for it to bush-up a la Freddie Mercury. So, I'm cheating. Introducing Hair Today. 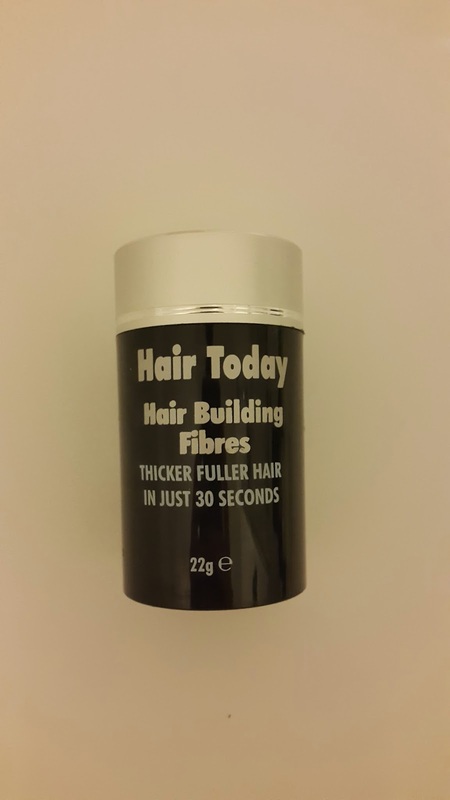 Hair Today is one of those fabulous (straight from Home Shopping Network) products for near-balding men looking to grasp hold of a long forgotten youth. It's literally hair in a can. Honestly it quite impressive, the flakes are like iron filings, so they kinda look like hair. I bet this is the secret to Conchita Wurst's lucious beard. 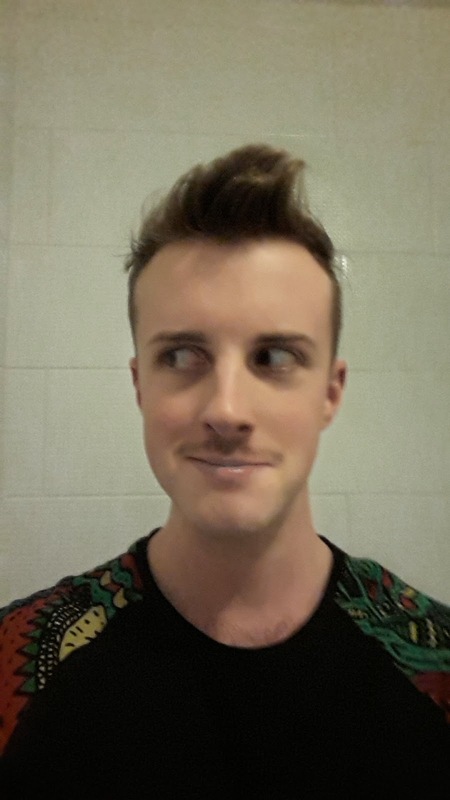 Anyway, I thought it'd be a giggle to sprinkle a little Hair Today into my fledgling moustache to beef it up a little, like sprinkling OXO into a watery stew. 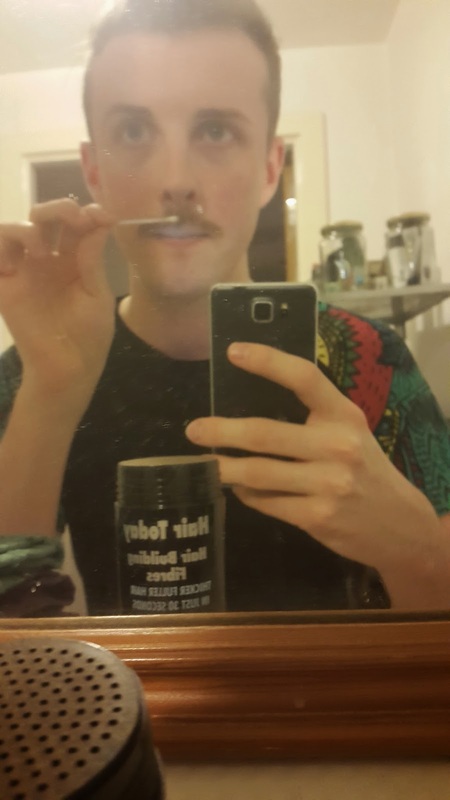 Using a cotton bud I managed to get an even coating and hey presto, move over Freddie, there's a new 'stache in town! You can donate to my Movember efforts here, your donation means a lot and (along with my mo) is helping to change the face of men's health.